This sectional sofa is the perfect pairing of relaxed comfort and formal elegance, perfect for dressing up or dressing down. 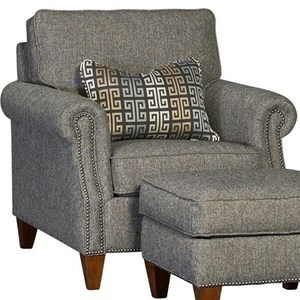 The starring features are the gracefully shaped arms and nailhead stud detail. This configuration seats six comfortably, to customize a larger or smaller sofa, choose from our selection of available pieces. 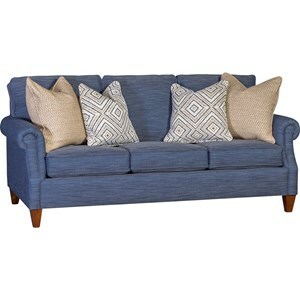 The 3311 Transitional 6-Seat Sectional Sofa by Mayo at Moore's Home Furnishings in the Kerrville, Fredericksburg, Boerne, and San Antonio, Texas area. Product availability may vary. Contact us for the most current availability on this product. 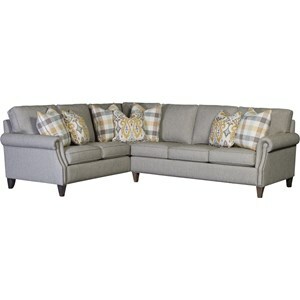 3311F14 Right Facing Sofa 1 71" 37" 37"
3311F70 Corner/Wedge 1 37" 37" 37"
3311F15 Left Facing Sofa 1 71" 37" 37"
When you buy a piece or an entire living room set from this collection, you can be proud that you're supporting American manufacturing. 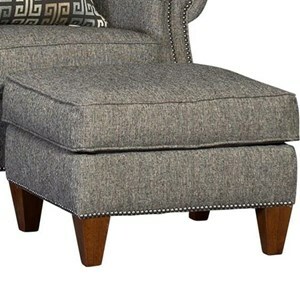 These sofas are made entirely in East Texas out of American-made fabrics, wood, and components whenever possible. Heavy gauge springs are specially designed for additional support and lasting structure. 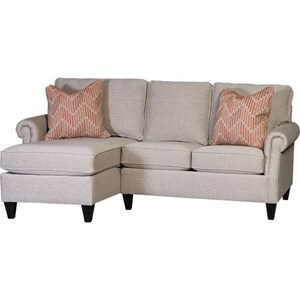 The result is a reliable, long-lasting sofa that you and your family can love for years to come. The 3311 collection is a great option if you are looking for Transitional Traditional furniture in the Kerrville, Fredericksburg, Boerne, and San Antonio, Texas area. Browse other items in the 3311 collection from Moore's Home Furnishings in the Kerrville, Fredericksburg, Boerne, and San Antonio, Texas area.